ID: 18 ~ Source: University Archives Photograph Collection, UA 8. ~ Creator: College of William and Mary. 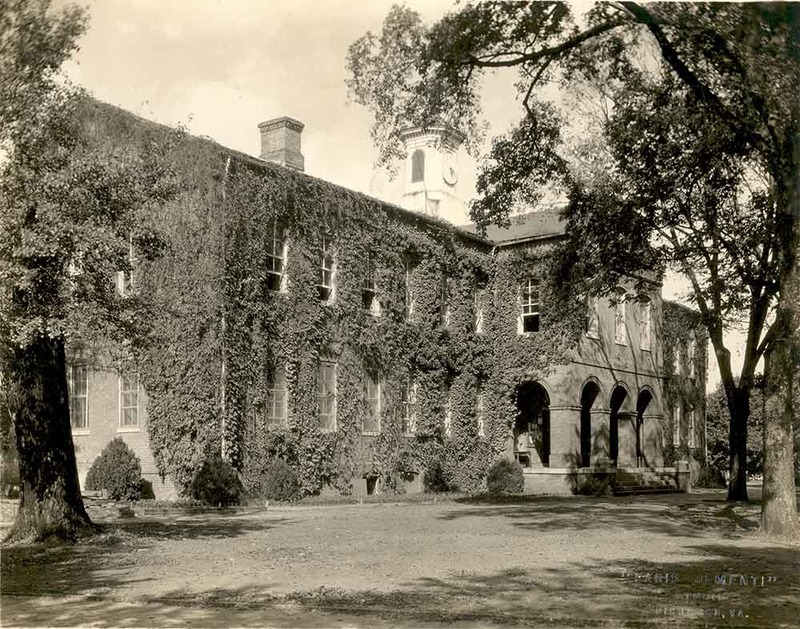 A view of the east and south facades of the Wren Building covered with ivy, circa 1920 prior to the Rockefeller restoration.